What cars does it fit? TR2-6 (TR2-3 drum brake cars only where these cars have been converted to disc brakes.) 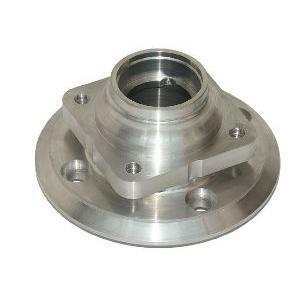 with a 4 stud PCD of 4.5"
Replaces the original TR Steel Hub without modification. It is lighter than original, and just as strong. 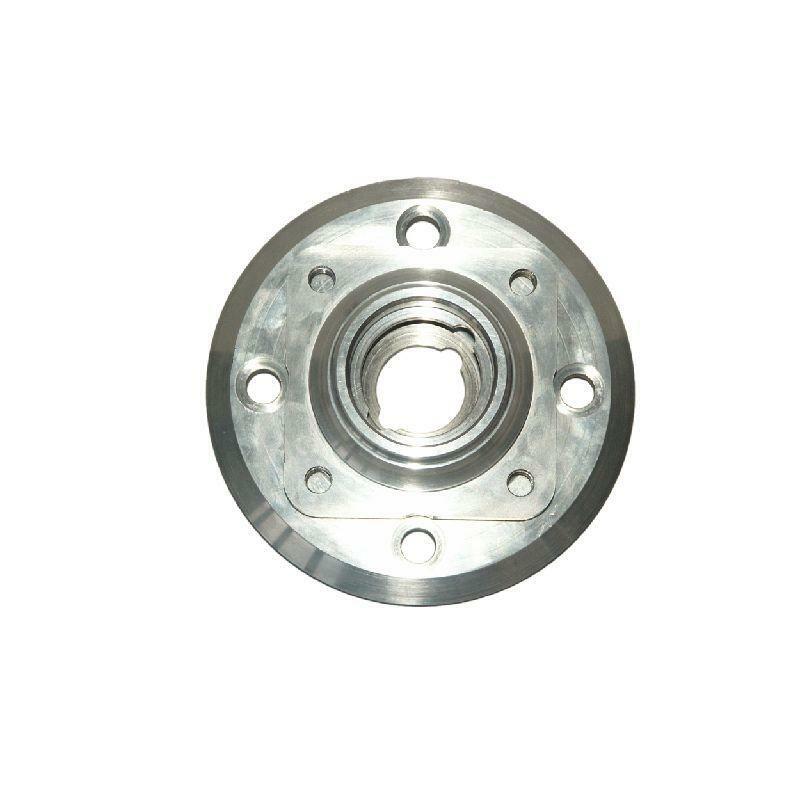 These hubs are supplied without bearings and wheel studs, order GHK1021 for a wheel bearing kit for 1 side. If wheel studs are required, order 114281 when wire wheels are fitted. For steel wheels order 114282 for standard 30mm long studs. 1 x aluminium hub packed in bubble wrap, bagged. Reduces unsprung weight, which allows the suspension to react quicker. Safer than other aluminium hubs which have not had the same design and development. The current generation are version 5 incorporating many improvements that have been brought to light in service. In the current situation they are cheaper than the steel option. Many cars are running worn out hubs with bearings that have spun in the housing. This gives rise to wheel wobble and shake. New hubs will cure this. Manufactured by the same shop and to a similar specification to the hubs which ran on the last Marcos entry at LeMans. They didn't fail! The design is not just a copy of the original steel part, the design has been altered to maximise the material strength between the outer surface and the grease cavity. 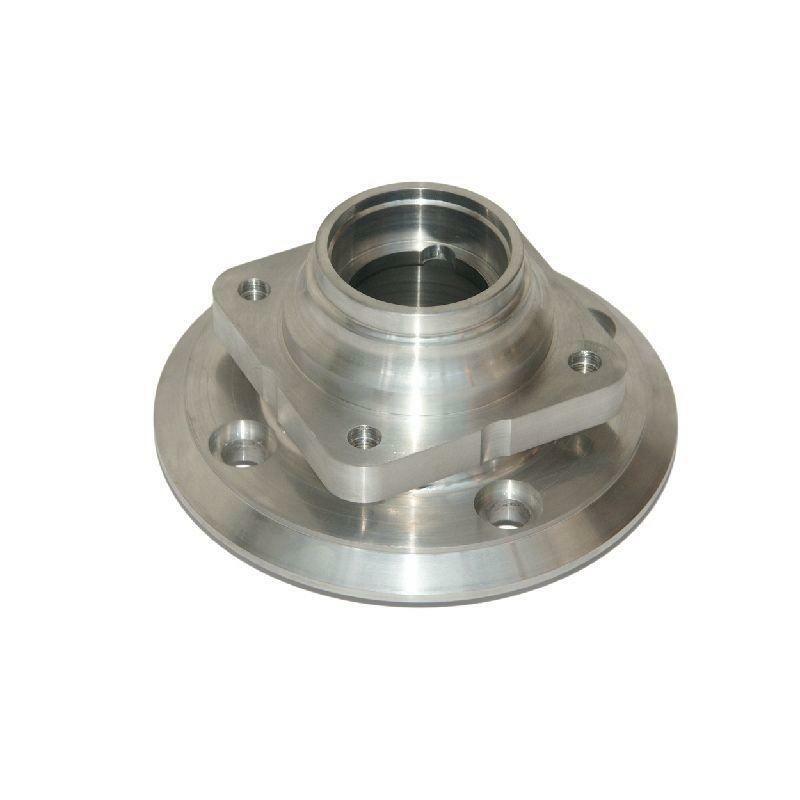 In addition the hub flange has been increased in thickness and all corners have been replaced with radii where practical. The material specification is a high strength aircraft grade, which is essential if failures are to be avoided. J N Revington has used these front hubs on his rally cars for nearly 10 years. The cars have been raced and rallied extensively, probably covering over 100,000 miles and so far the hubs have not been changed. Our experience has shown that an aluminium hub, which is a direct copy of the original, will be prone to failure. What issues are there with the product? 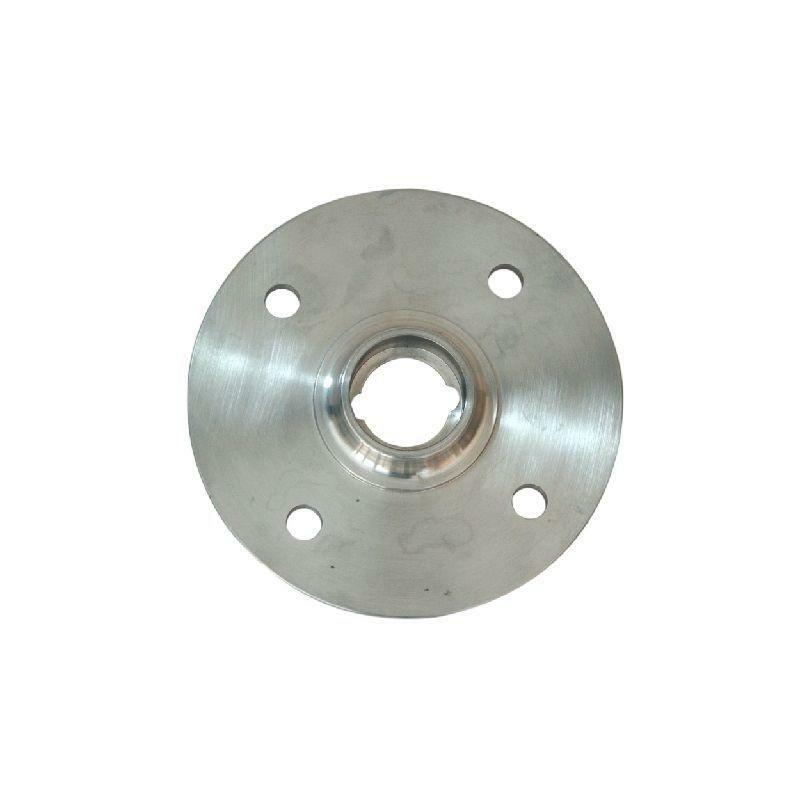 It is important to ensure that the wheel design does not have a large counter bore on the back face as this could result in the studs pulling through the aluminium flange in heavy duty applications. Our experience is primarily with Compomotive and American Racing Inc. wheels, which have counter bores no larger than 17mm. Original steel wheels have no counter bore and therefore should never be a problem. Revington TR information: TR2-6 Front wheel bearing anti knock-back kit. 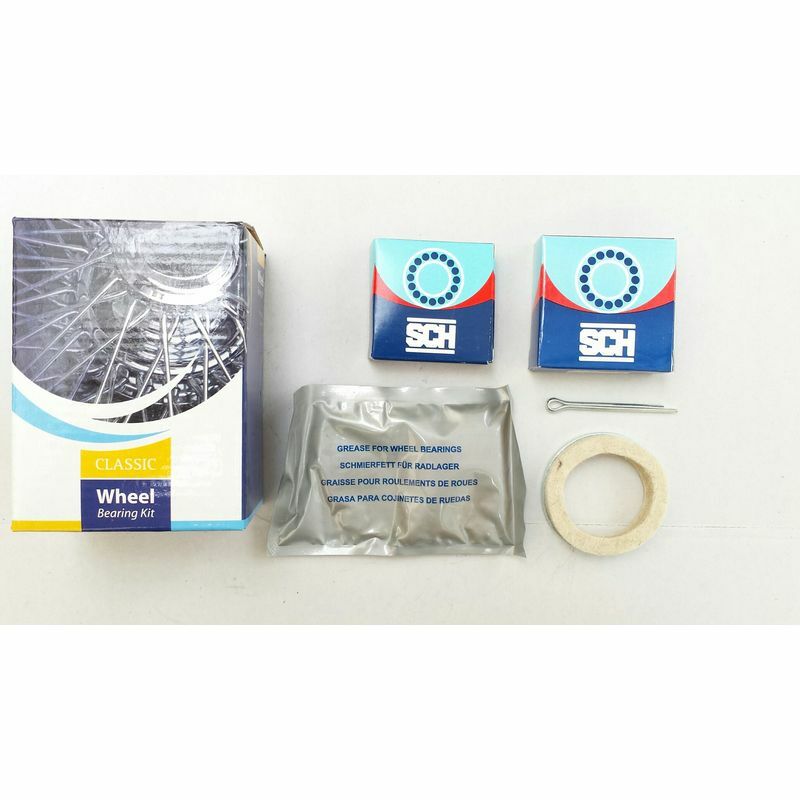 This kit has been designed to strengthen the front stub axles by introducing a solid tube between the inner races of the wheel bearings. Revington TR information: This wheel stud which is 32mm long (measured from under the head), presses into the hub and is used at the front of TR3 (Disc brake cars) throughout the range to TR6 fitted with steel wheels. Revington TR information: Stud RTR1219 which is 42mm long and has a flat face under the head, is specifically intended for fitment to TR3-6 (and TR2 fitted with disc brakes) front hubs only. Revington TR information: This wheel stud which presses into the hub is used at the front of TR3 (Disc brake cars) throughout the range to TR6 fitted with wire wheels. 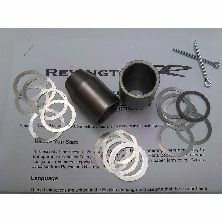 Revington TR information: TR2-6 and Spitfire front wheel bearing kit. This kit includes 2 bearings and one seal for one side of the car.